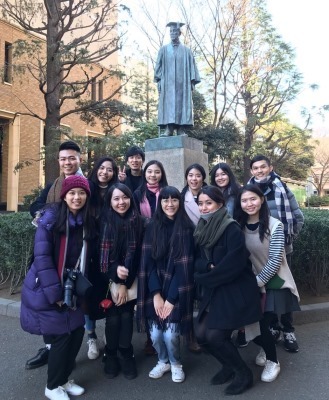 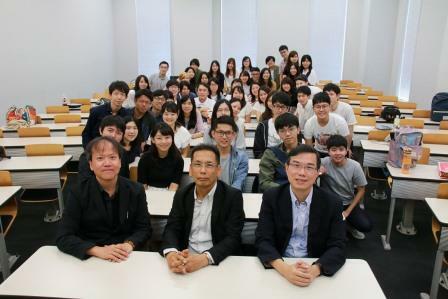 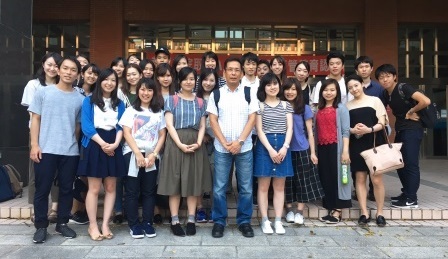 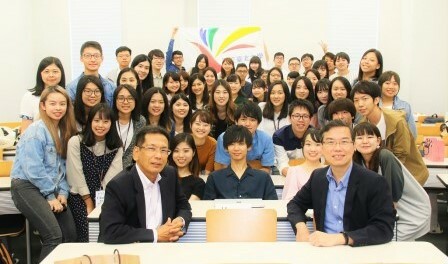 Japan Study Tour, National Taiwan Normal University, Waseda University. 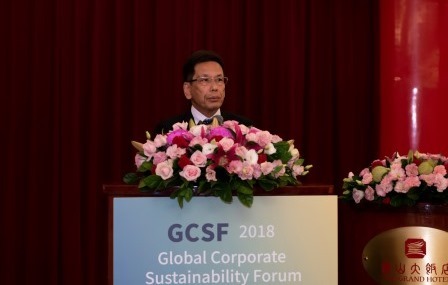 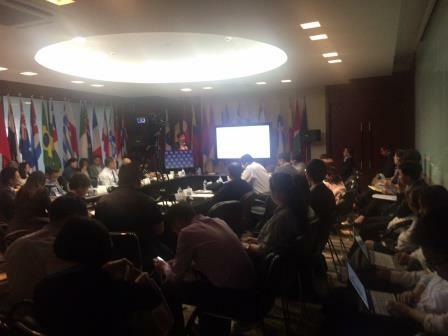 Global Corporate Sustainability Forum: Actions for Corporate Sustainability, Grand Hotel, Taipei, 台湾. 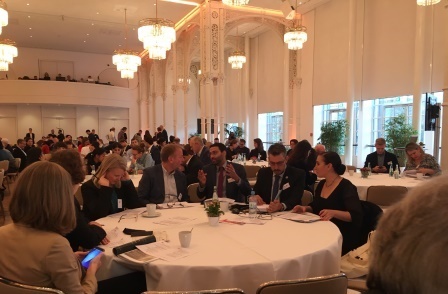 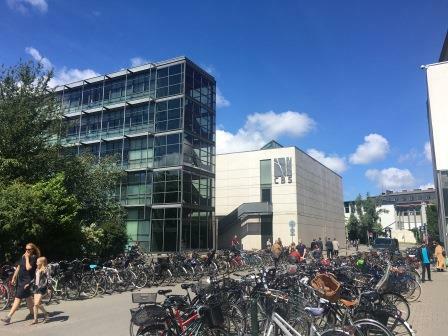 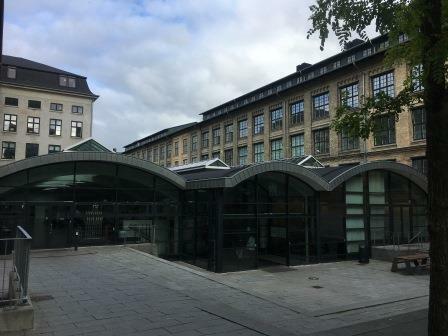 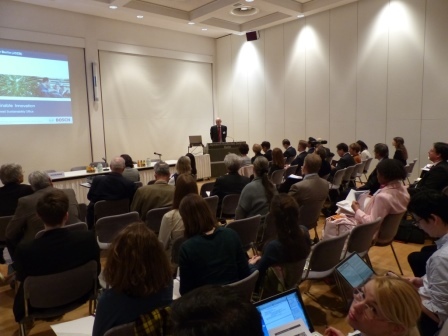 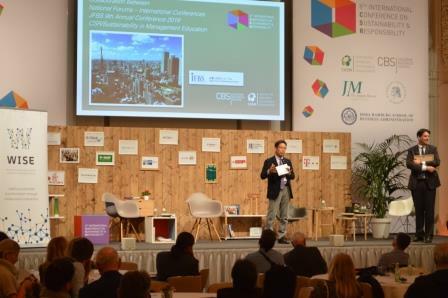 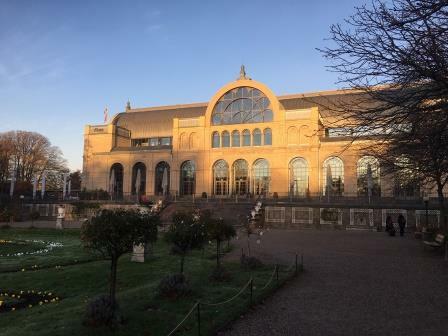 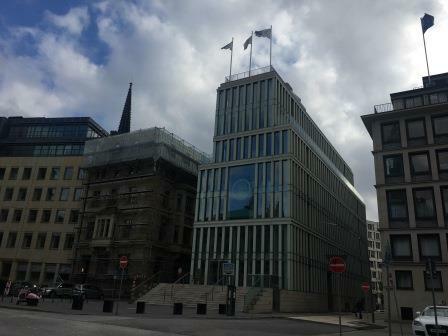 The 8th International Conference on Sustainability and Responsibility: Responsible Leadership in Times of Transformation, Flora Cologne, Germany. 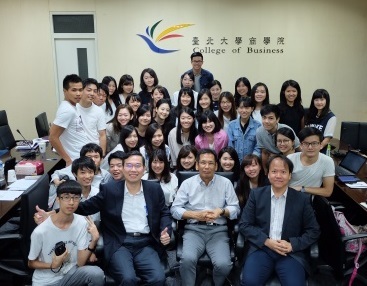 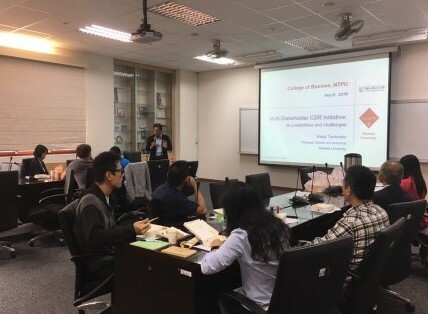 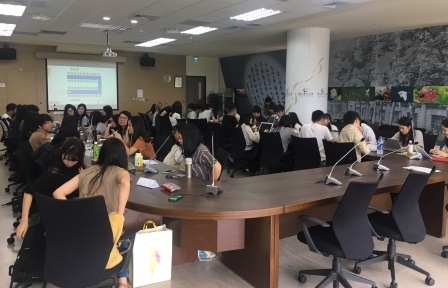 Seminar: Multi-Stakeholder CSR Initiatives: its possibilities and challenges, College of Business, National Taipei University, 台湾. 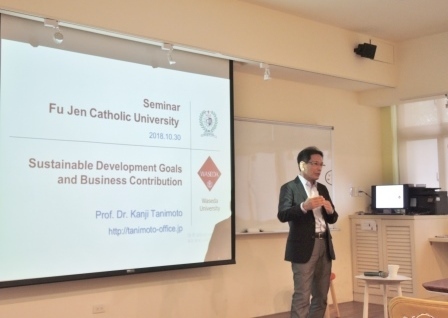 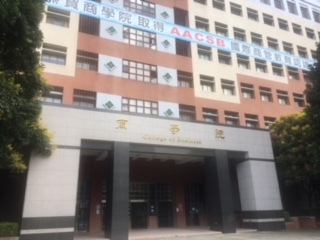 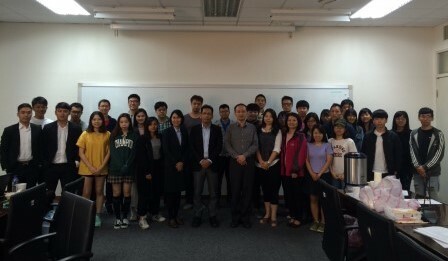 Lecture: Sustainable Development Goals and Business Contribution, FuJen Catholic University, Taipei, 台湾. 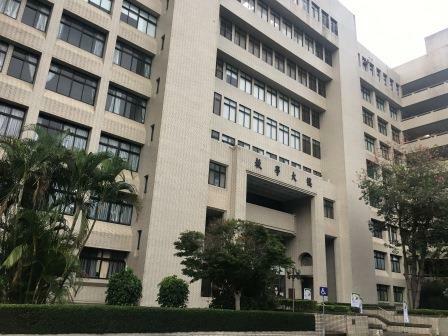 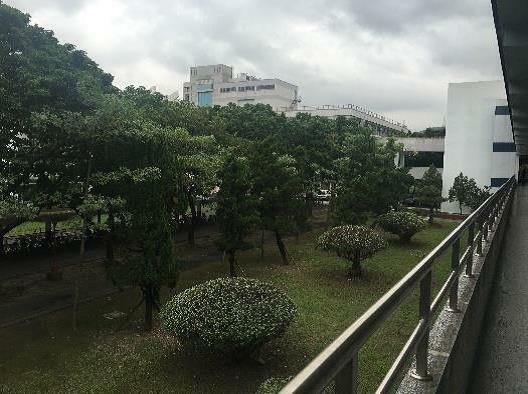 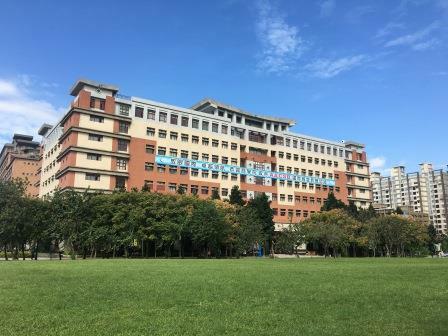 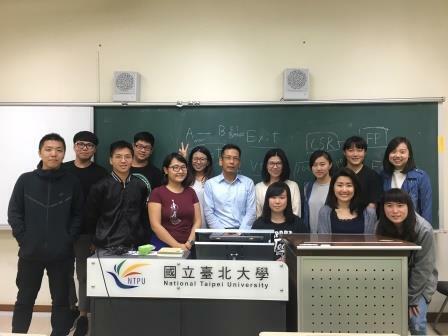 Meeting, National Taiwan Normal University, Taipei, 台湾. 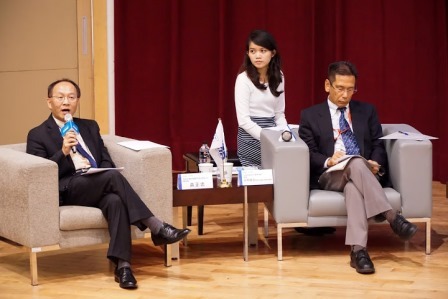 2018 Grand Master Think Tank Forum: Challenges of CSR Management , Taipei, 台湾. 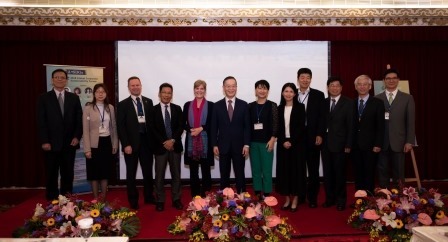 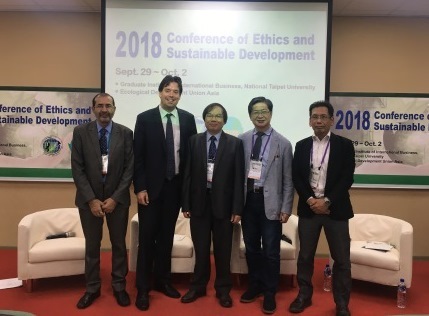 2018 International CSR, Sustainability, Ethics & Governance Conference: Management Education for CSR and Sustainability, Taipei, 台湾. 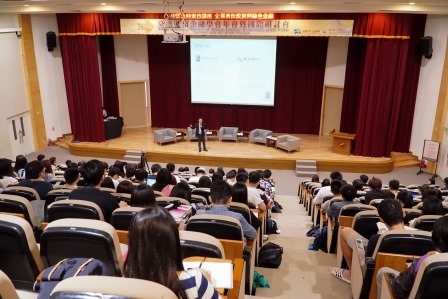 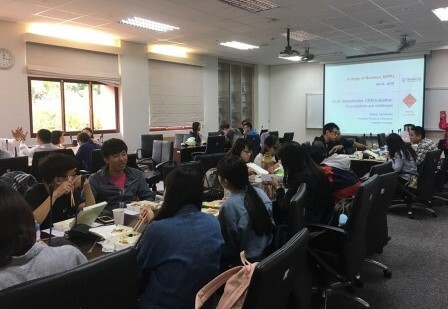 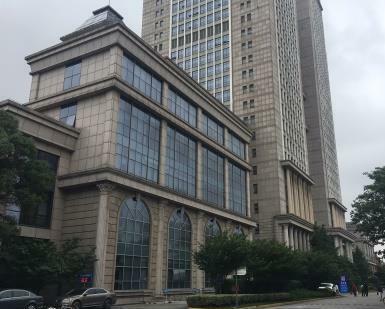 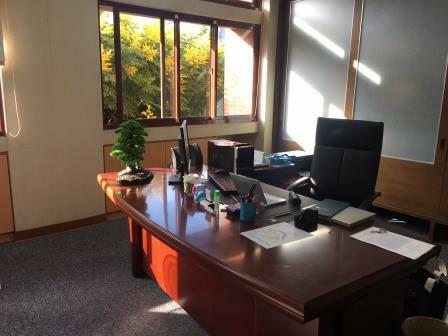 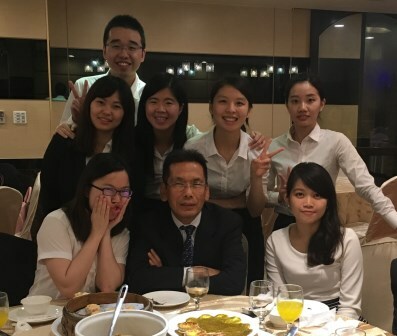 客員教授, Lecture: Financial Ethics, MA, 第1学期, 国立台北大学商学院, 台湾. 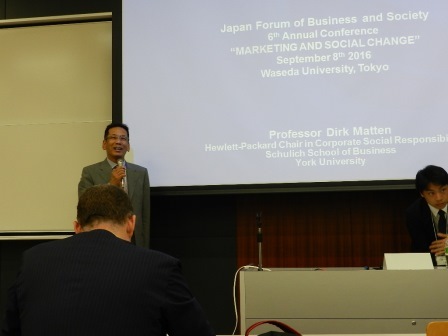 JFBS 8th International Annual Conference: Strategic Communications in Business and Society, Opening Remarks, Waseda University, Tokyo, Japan. 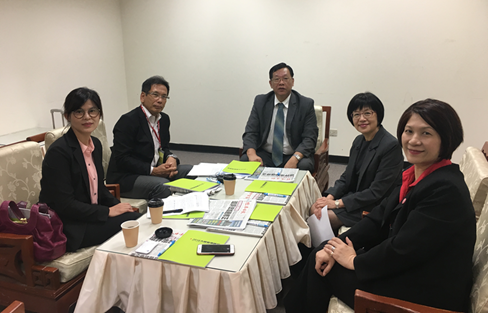 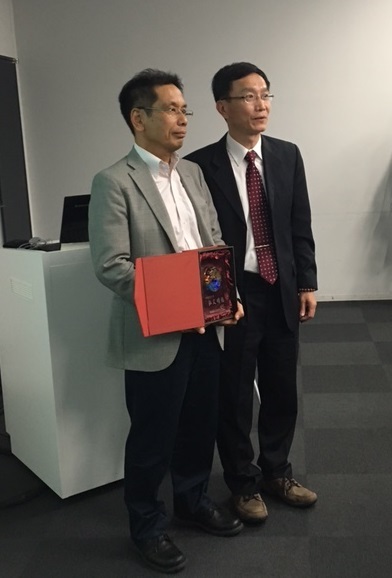 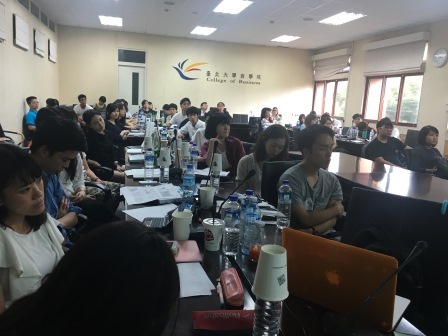 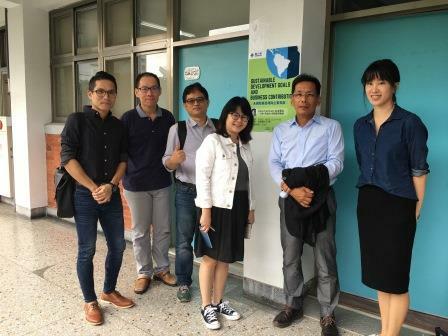 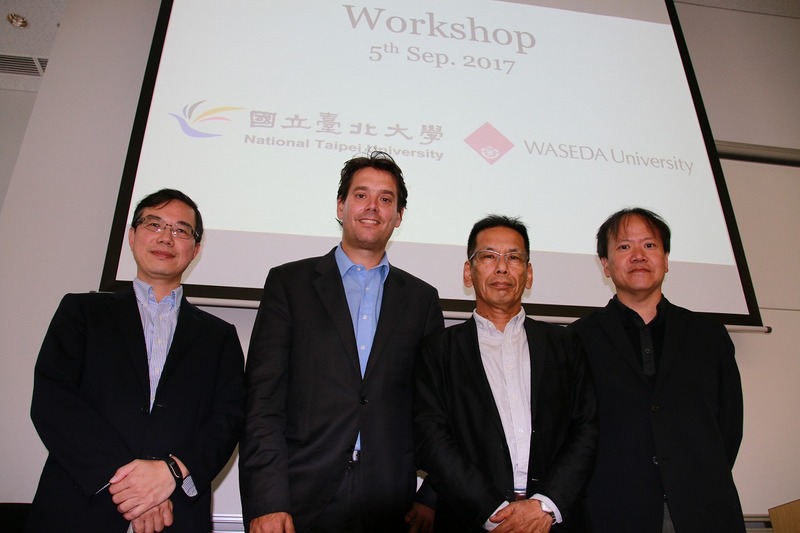 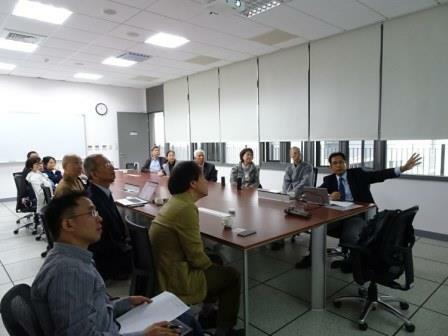 Joint Workshop with National Taipei University, Sustainable Development and Innovation, Waseda University, Tokyo, Japan. 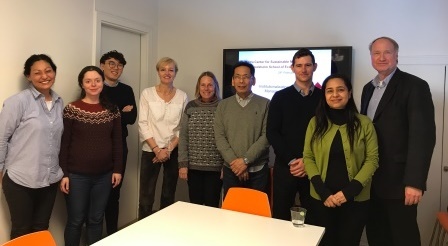 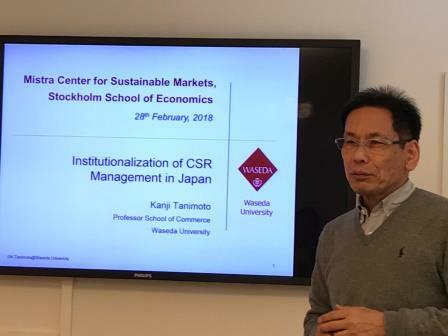 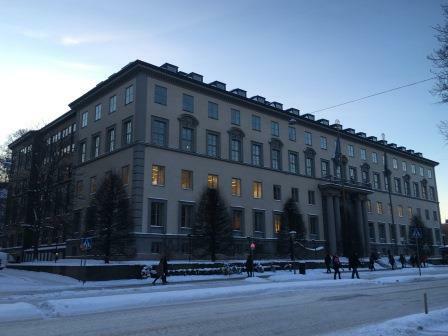 Seminar: Institutionalization of Corporate Social Responsibility in Japan, MISUM, Stockholm School of Economics, Sweden. 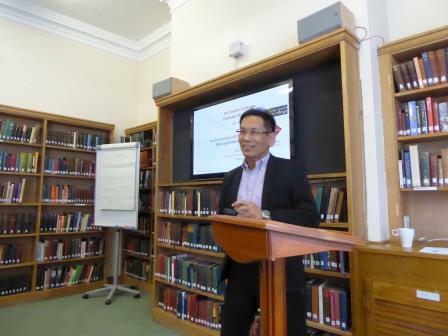 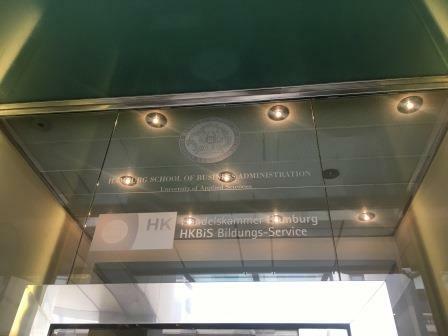 Lecture: Sustainable Development and Innovation, Hamburg School of Business Administration, Germany. 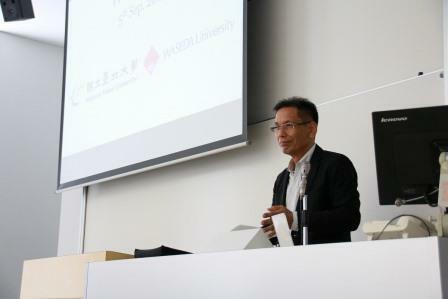 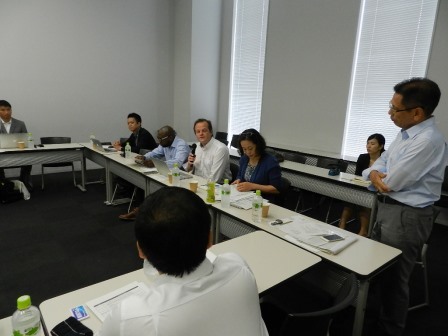 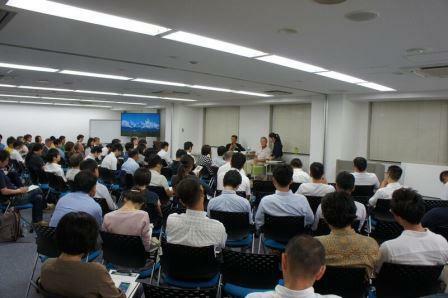 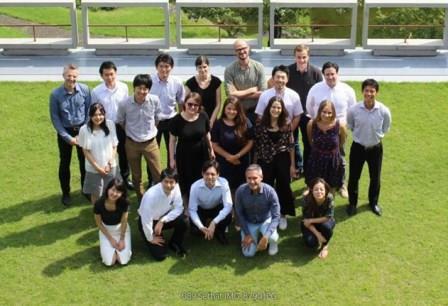 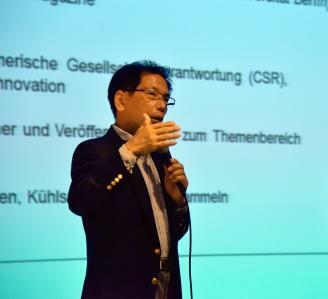 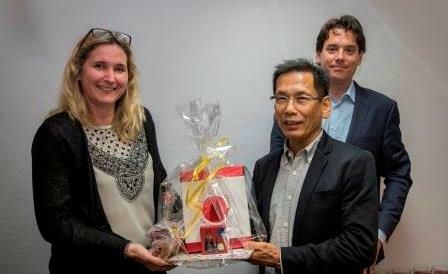 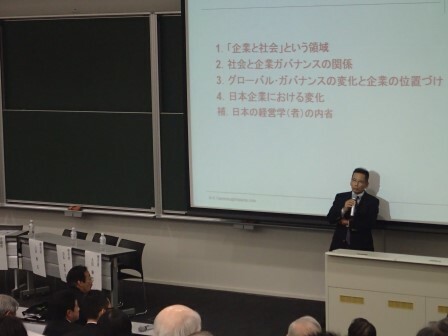 Seminar: Strategic CSR Management: A Lesson from Japanese Companies, Hamburg School of Business Administration, Germany. 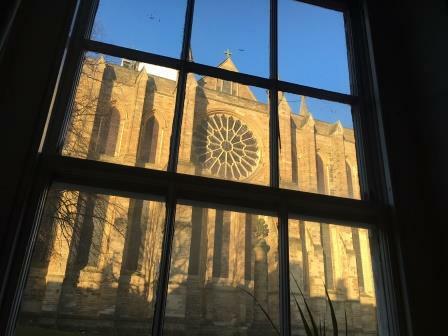 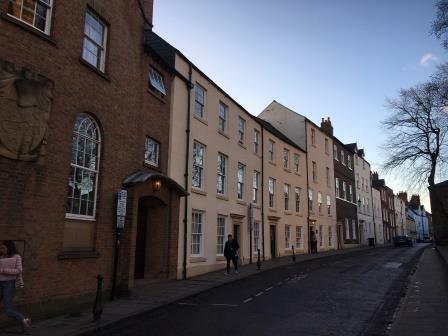 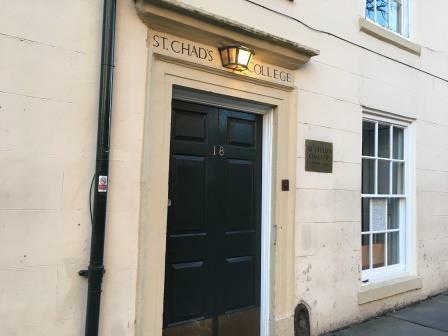 St Chad's College, Durham University. 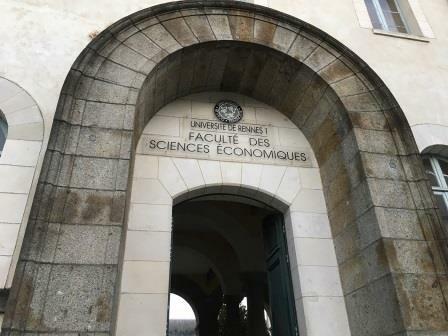 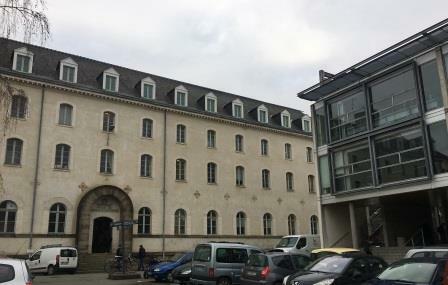 Graduate School of Economics, Rennes University, France. 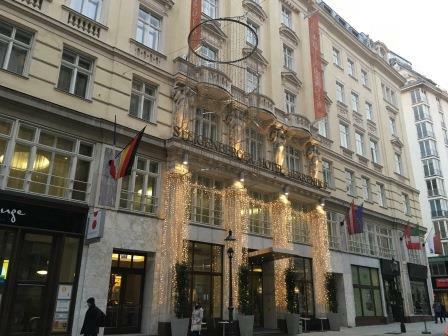 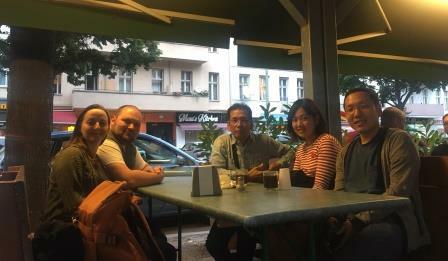 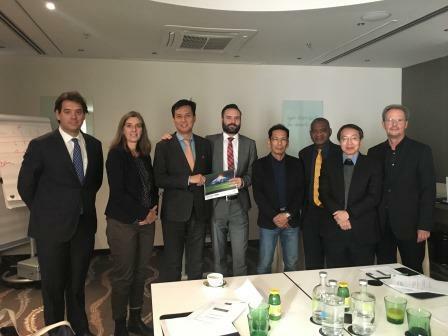 Jury Meeting, Sustainable Entrepreneurship Award, Vienna, Austria. 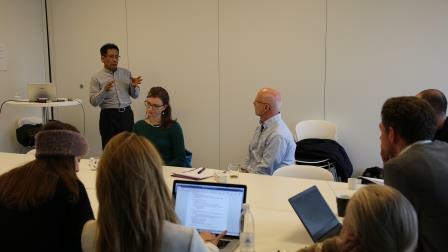 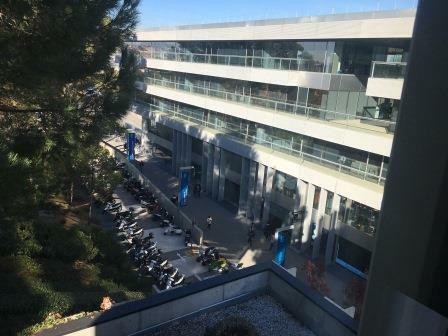 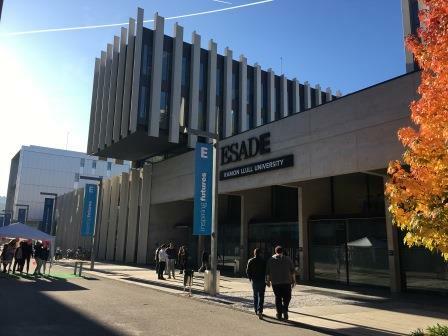 Seminar: Multi-Stakeholder CSR Initiative：conceptual review, ESADE, Barcelona, Spain. 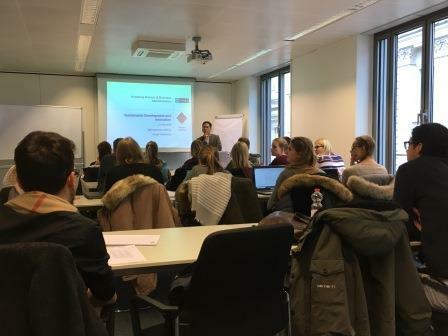 Lecture: CSR, Winter Semester, Cologne Business School, Germany. 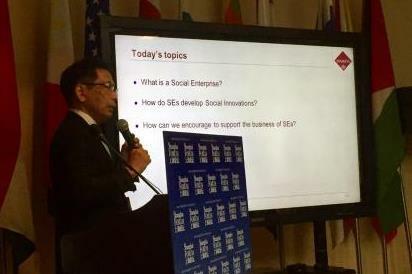 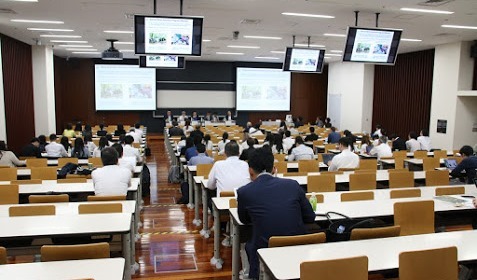 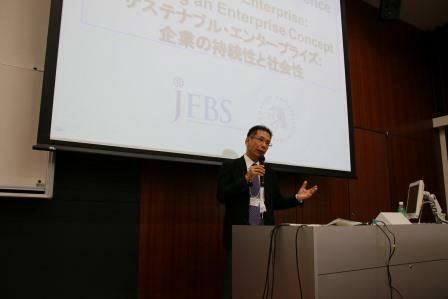 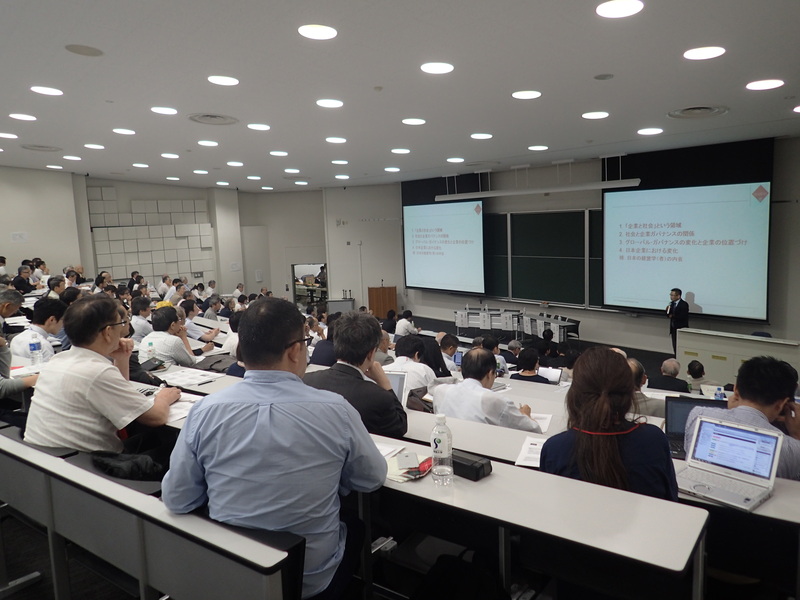 JFBS 7th International Annual Conference: Sustainable Enterprise: Revisiting an Enterprise Concept, Opening Remarks, Waseda University, Tokyo, Japan. 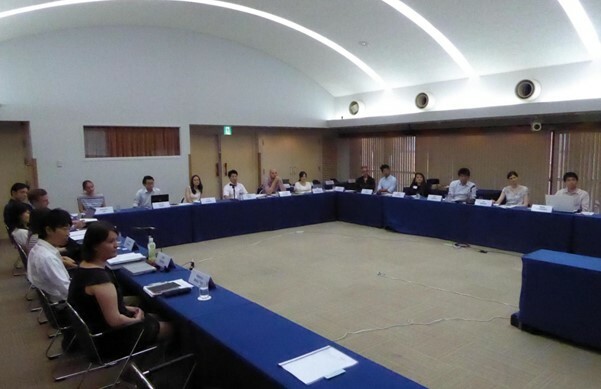 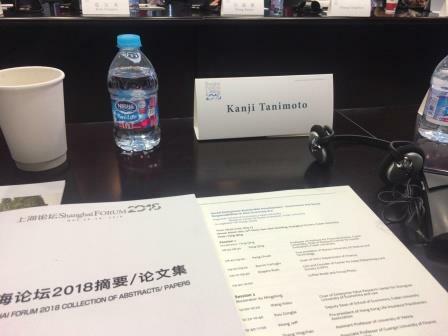 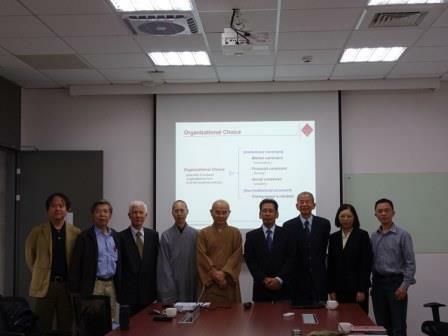 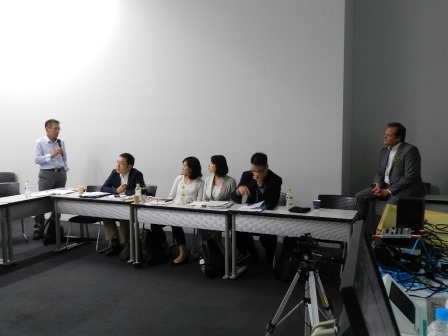 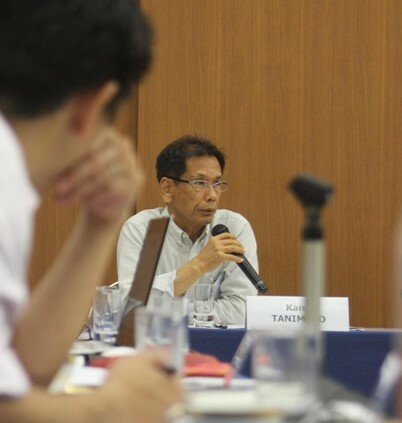 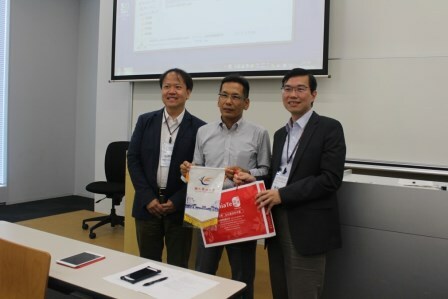 Joint Workshop with National Taipei University, Scandals and Organizational Culture, Waseda University, Tokyo, Japan. 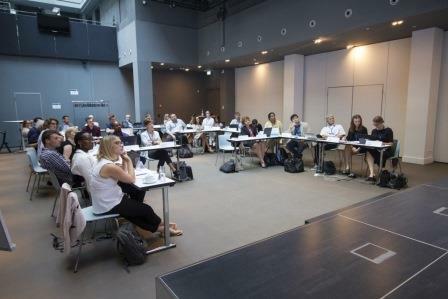 Special Lecture: Sustainable Development Goals and the Private Sector, German-Japanese Young Leaders Forum 2017, JDZB, The International House of Japan, Tokyo, Japan. 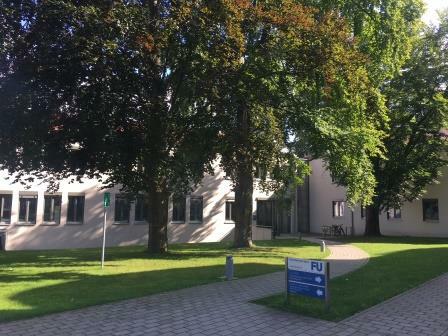 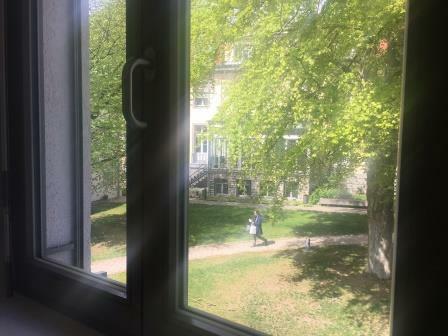 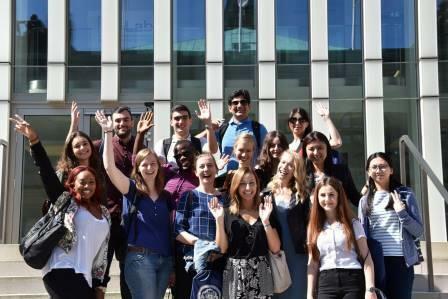 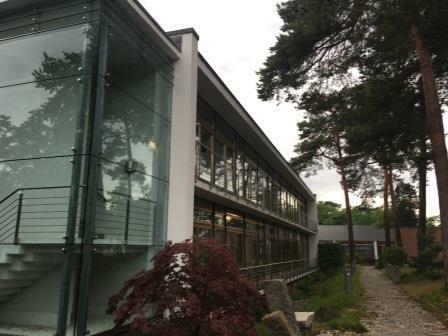 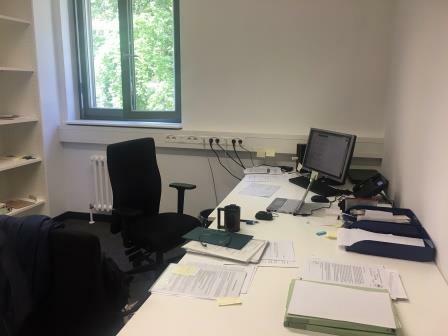 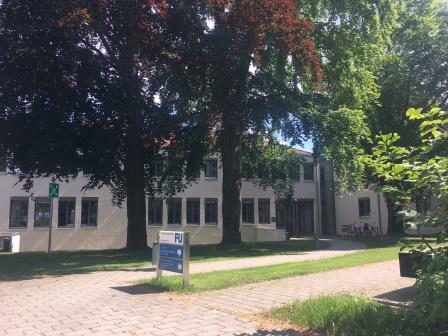 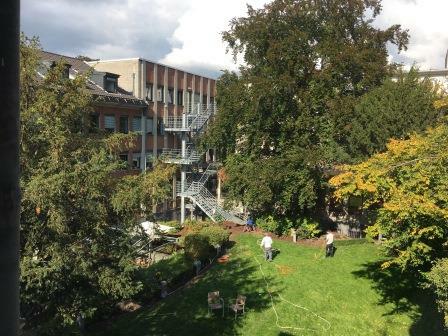 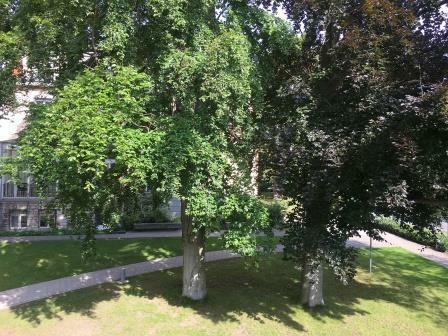 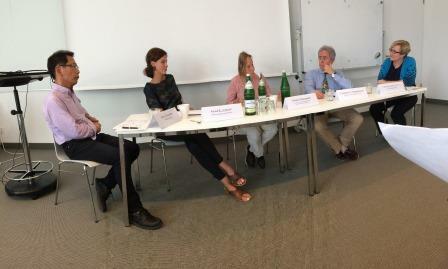 Summer School: Stakeholder Relations, Hamburg School of Business Administration, Germany. 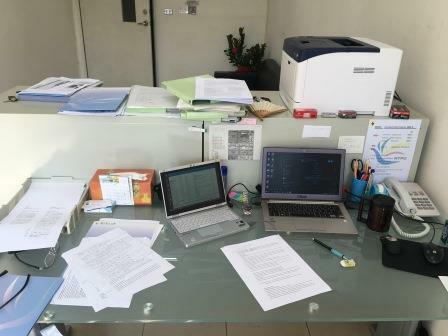 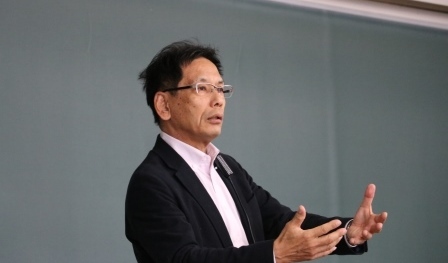 Special Lecture: Publish or/and/without Perish (? 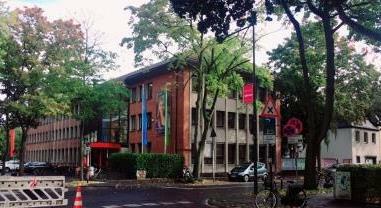 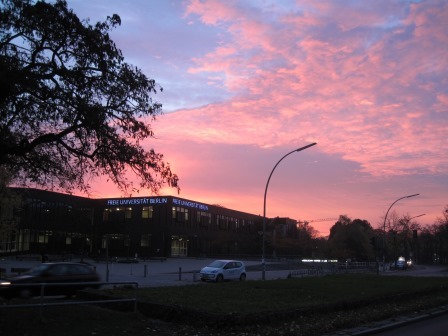 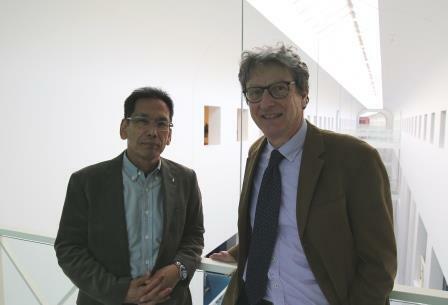 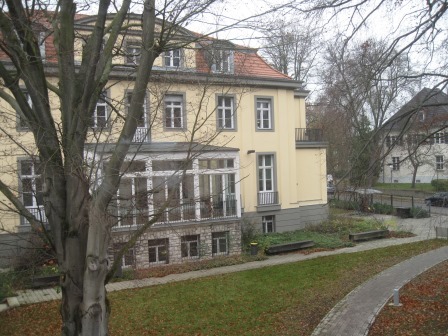 ), Graduate School of East Asian Studies, Free University of Berlin, Germany. 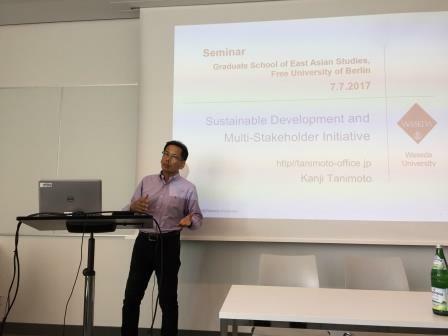 Symposium: Sustainable Development and Multi-Stakeholder Partnership, Keynote Speech, Free University of Berlin, Germany. 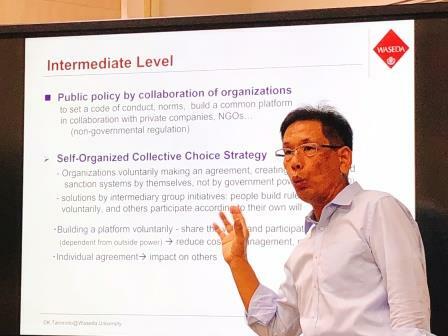 Workshop: Business and Society: From Responsibility to Governance, Copenhagen Business School, Denmark. 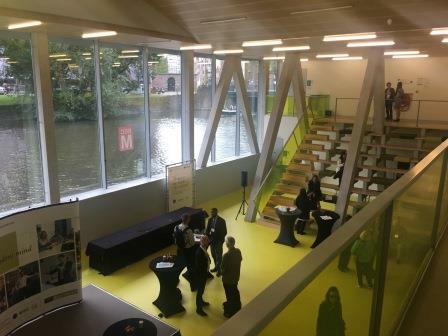 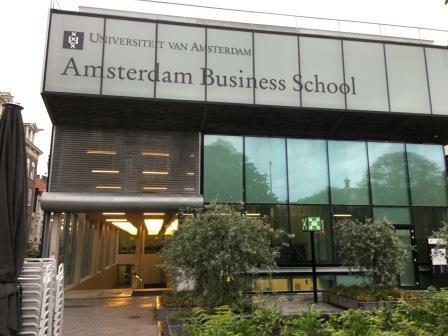 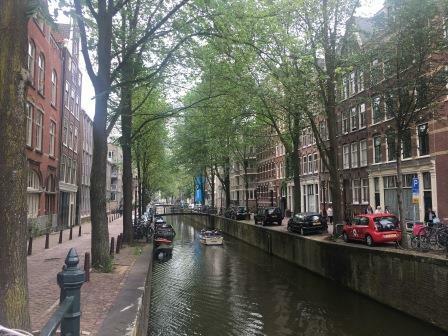 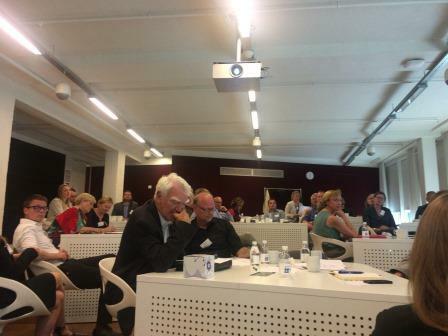 2017 Annual IABS Conference: Business and Society: from ambition to impact, Amsterdam Business School, The Netherlands. 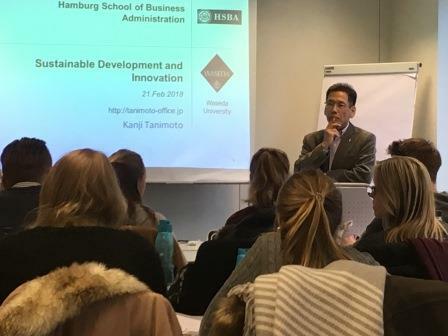 Lecture: Sustainable Development Goals and Innovation, Hamburg School of Business Administration, Germany. 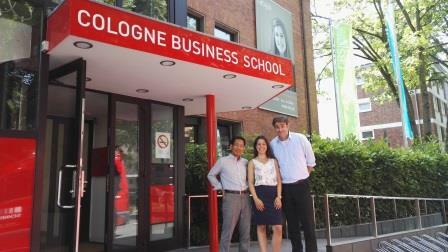 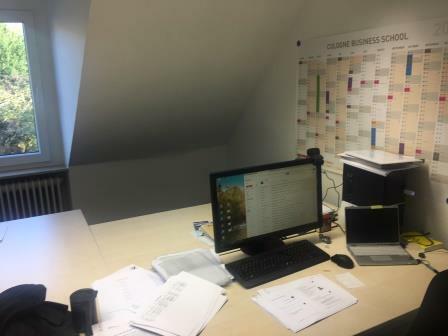 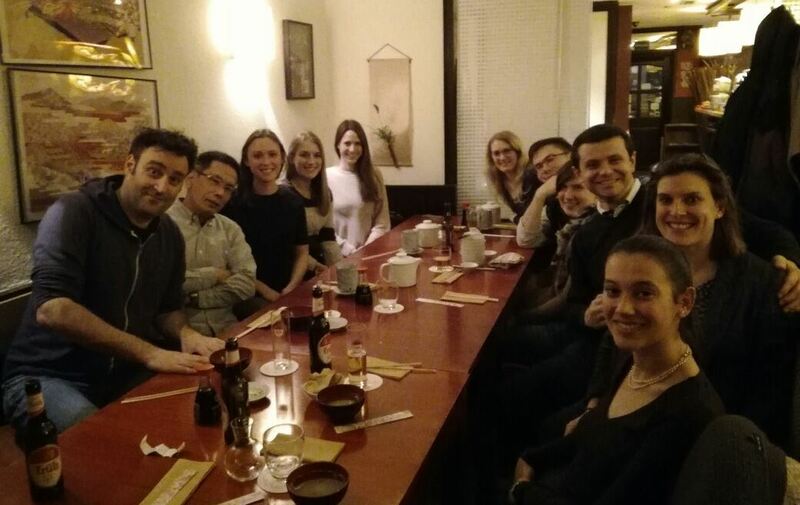 Meeting for Winter Semester, Cologne Business School, Germany. 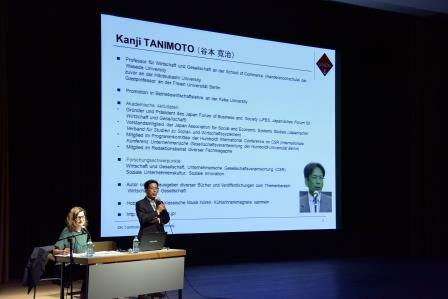 Lecture: Challenges of CSR in Japanese Management, Japanisches Kulturinstitut Köln, Cologne, Germany. 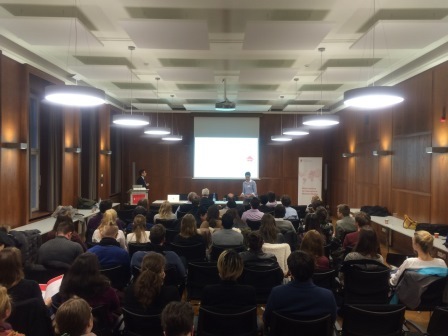 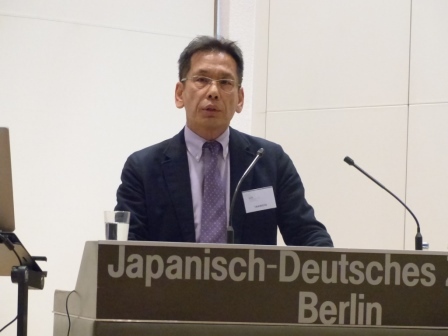 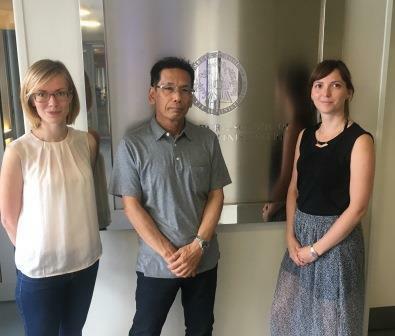 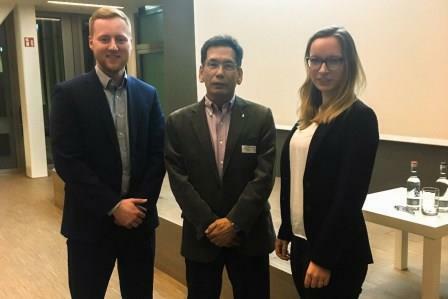 Lecture: Sustainable Development Goals and Innovation, Deutsch-Japanishche Gesellschaft Berlin, JDZB, Germany. 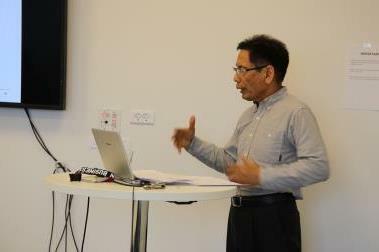 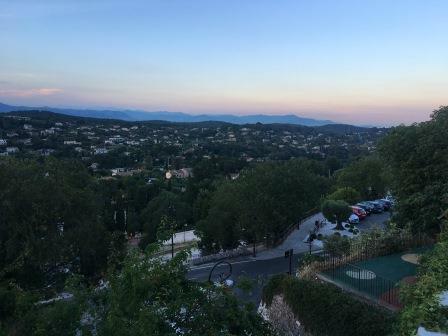 Seminar: Sustainable Innovation and Business Strategy, SKEMA Business School, Sophia Antipolis, France. 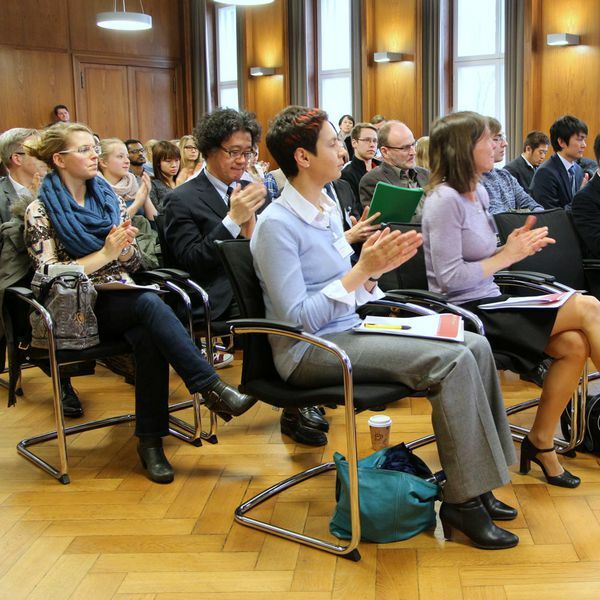 Lecture: Business and Society, Summer Semester, Free University Berlin, Germany. 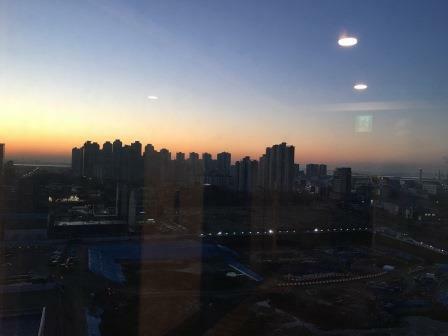 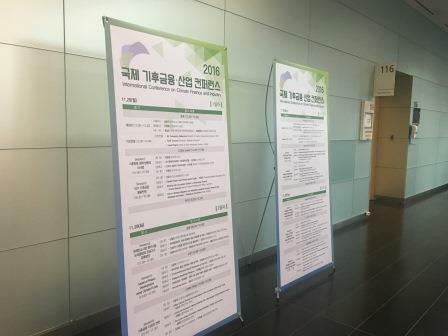 2016 International Conference on Climate Finance and Industry, Keynote Speech, Inha University（仁荷大学）, Incheon, Korea. 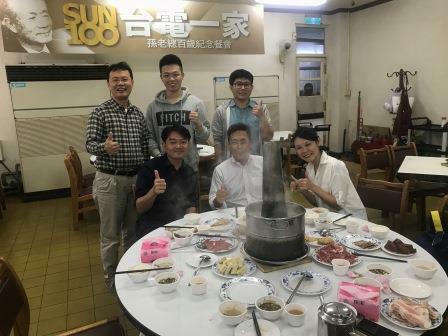 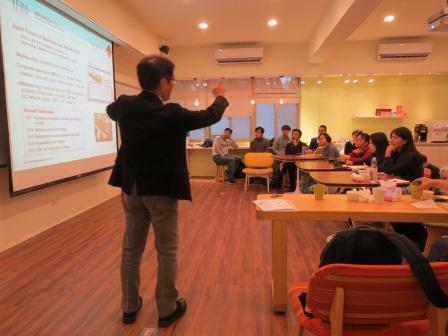 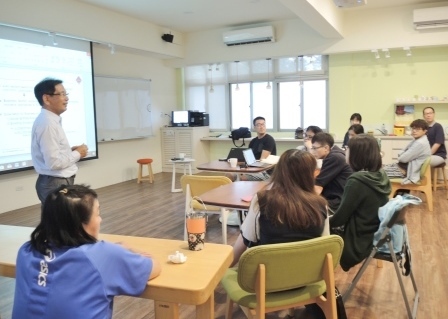 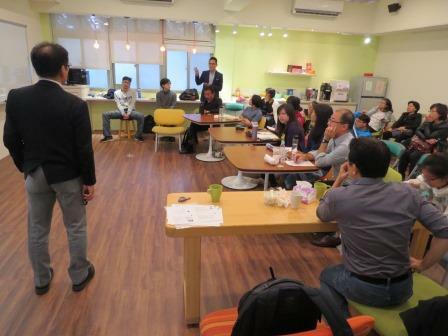 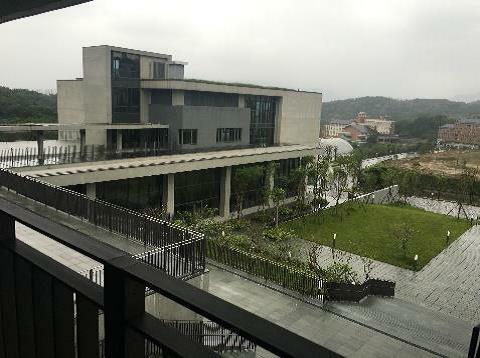 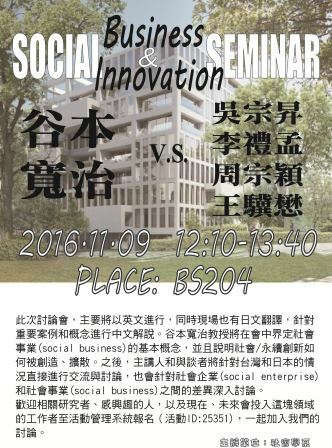 Seminar: Social Business and Innovation, 法鼓文理学院（Dharma Drum Institute of Liberal Arts）, 新北市, 台湾. 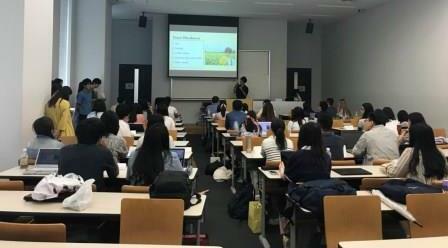 客員教授, Lecture: Corporate Social Responsibility, 第1学期, 国立台北大学商学院, 台湾. 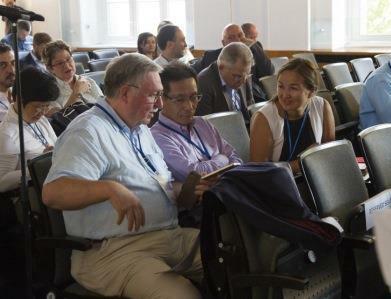 7th International Conference on Corporate Sustainability and Responsibility, Humboldt University, Berlin, Germany. 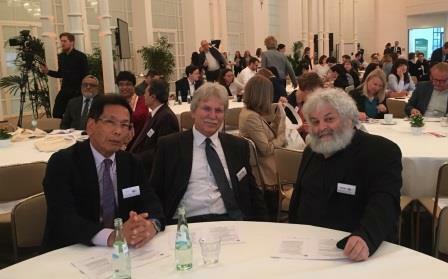 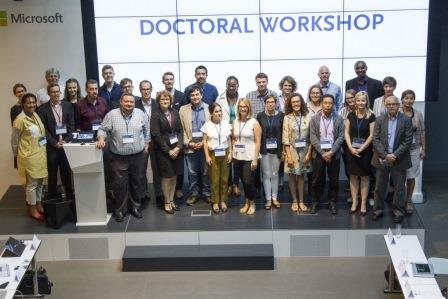 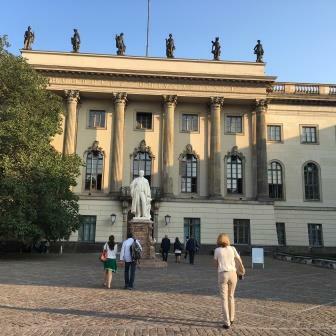 Doctoral Workshop, 7th International Conference on Corporate Sustainability and Responsibility, Humboldt University, Berlin, Germany. 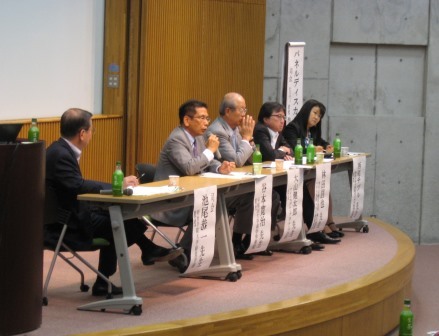 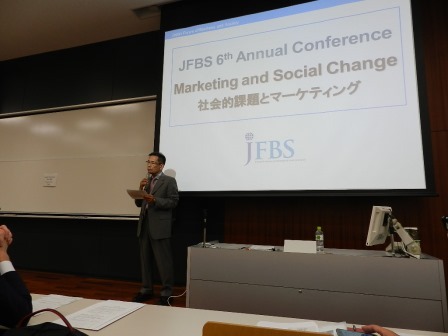 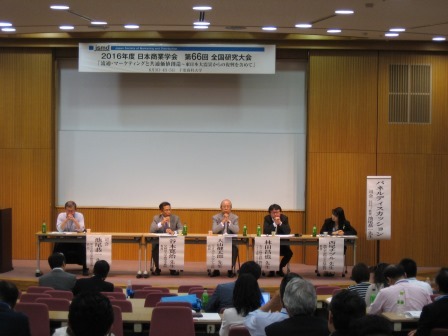 JFBS 6th Annual Conference: Marketing and Social Change, Opening Remarks, Waseda University, Tokyo, Japan. 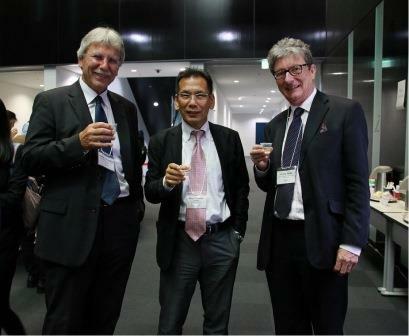 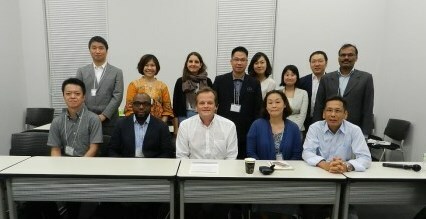 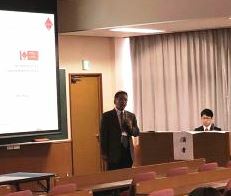 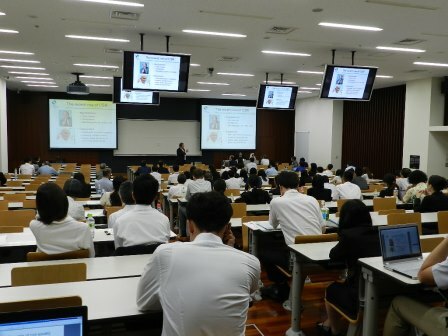 Doctoral Workshop, JFBS 6th Annual Conference, Waseda University, Tokyo, Japan. 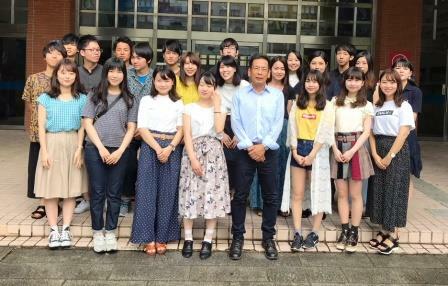 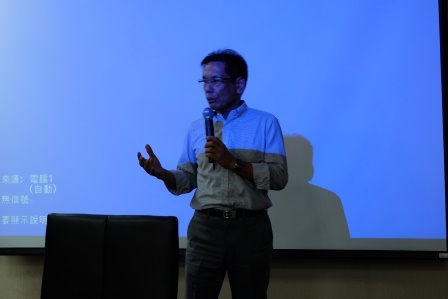 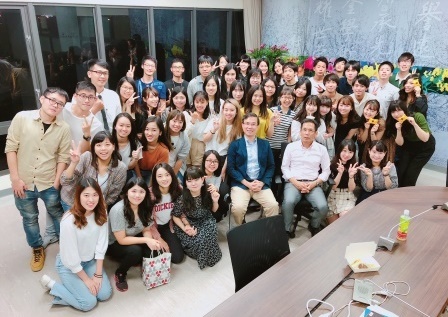 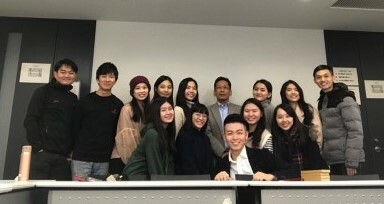 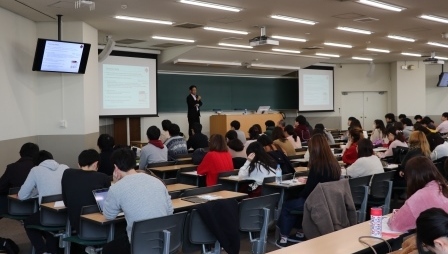 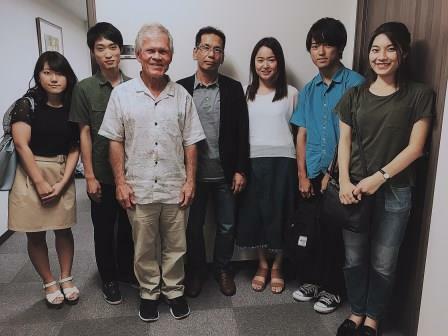 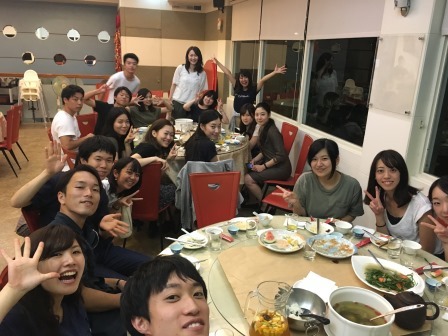 Special Lecture: Exchange Program between NTPU and Waseda Univ: Introduction, National Taipei University Study Tour in Japan, Waseda University, Tokyo, Japan. 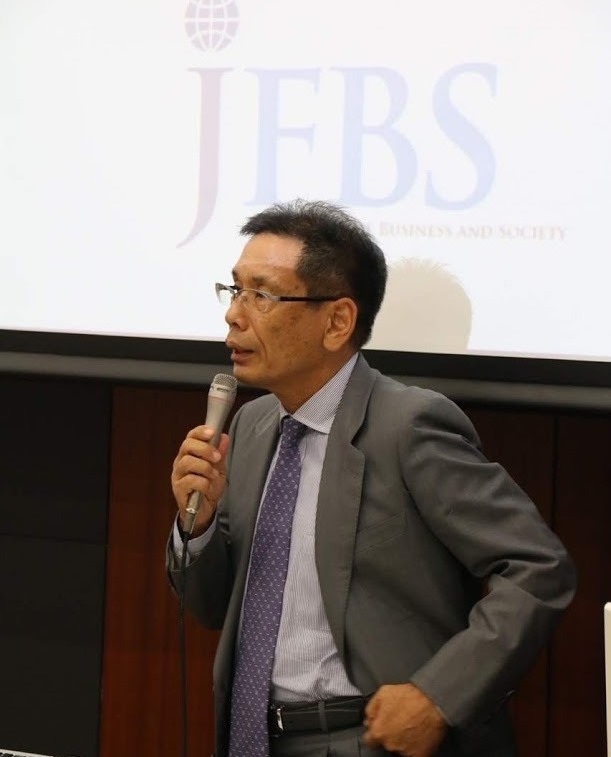 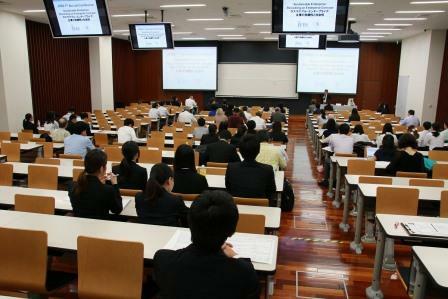 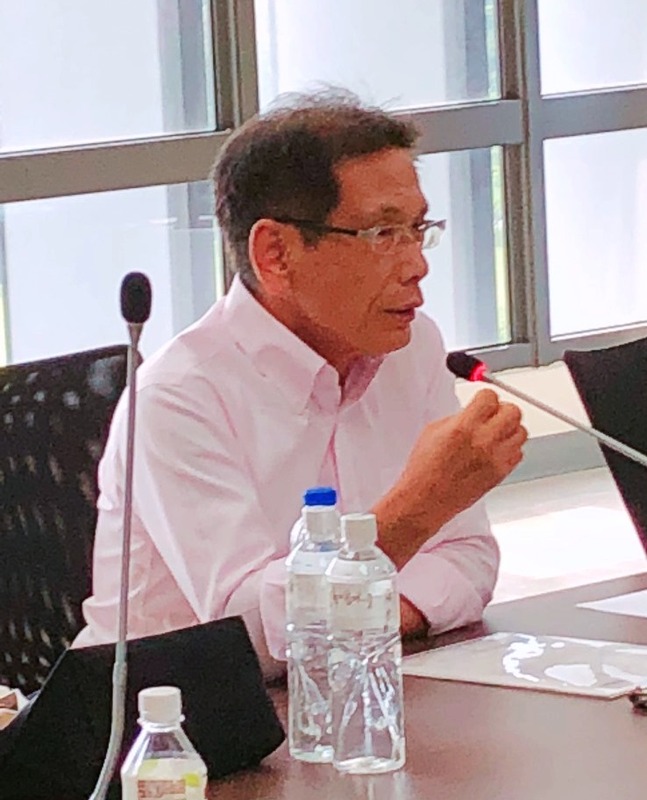 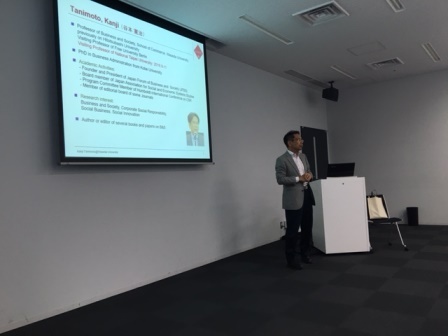 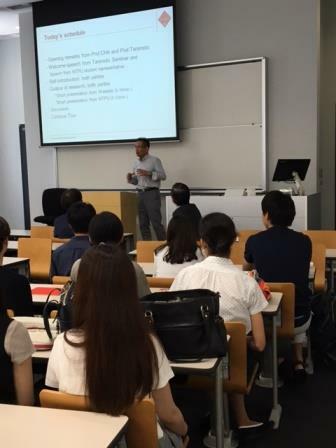 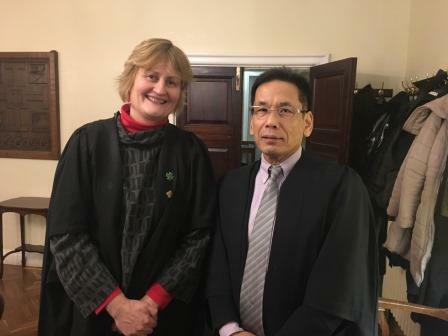 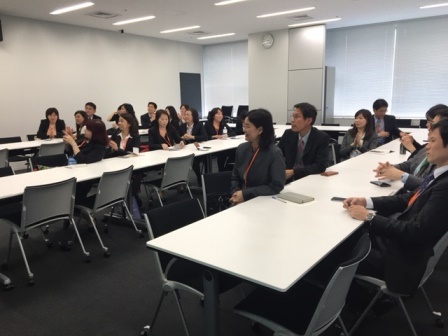 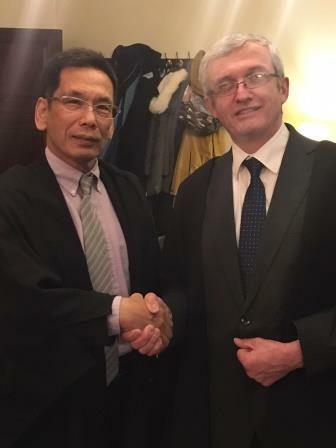 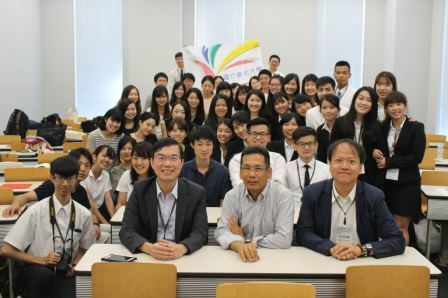 Special Lecture: Business and Society in Japan - Introduction, National Taipei University EMBA Study Tour in Japan, Waseda University, Tokyo, Japan. 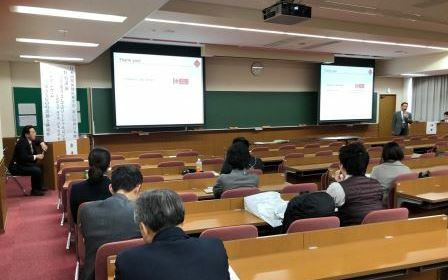 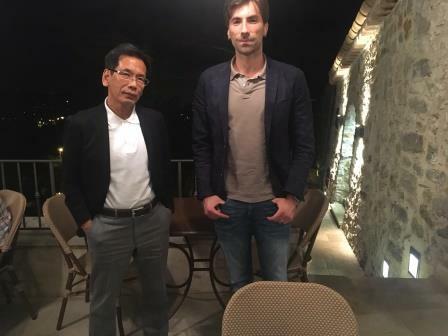 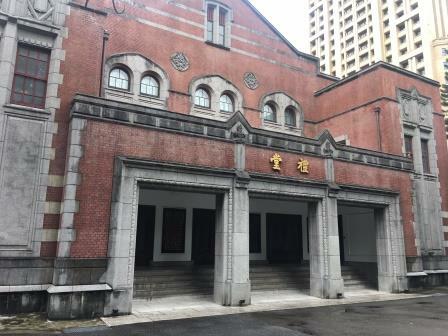 基調講演 「持続可能な発展と企業の役割」 / パネルディスカッション 「流通・マーケティングと共通価値創造」、日本商業学会第66回全国大会、千葉商科大学. 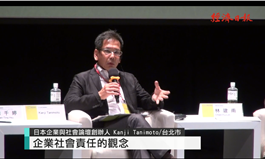 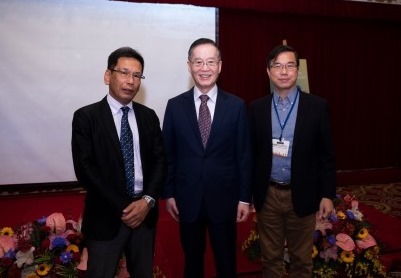 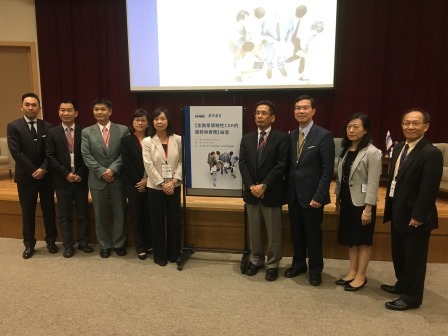 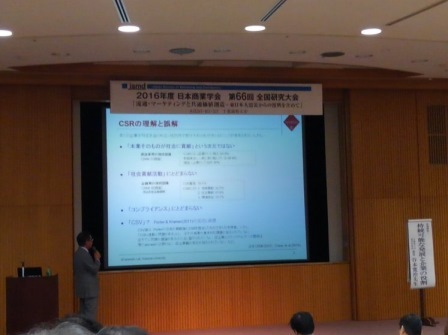 Symposium: Facts and Trends of Strategic CSR for Financial Sector, 2016 International Conference of Taiwan Finance Association, National Taipei University, New Taipei City, Taiwan. 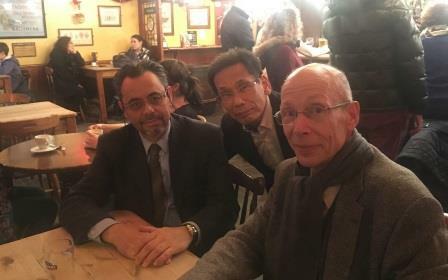 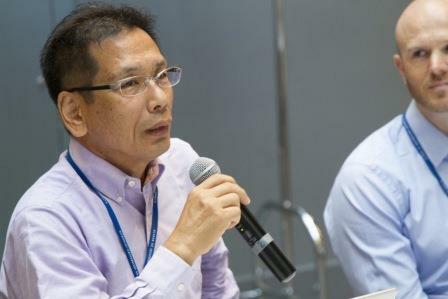 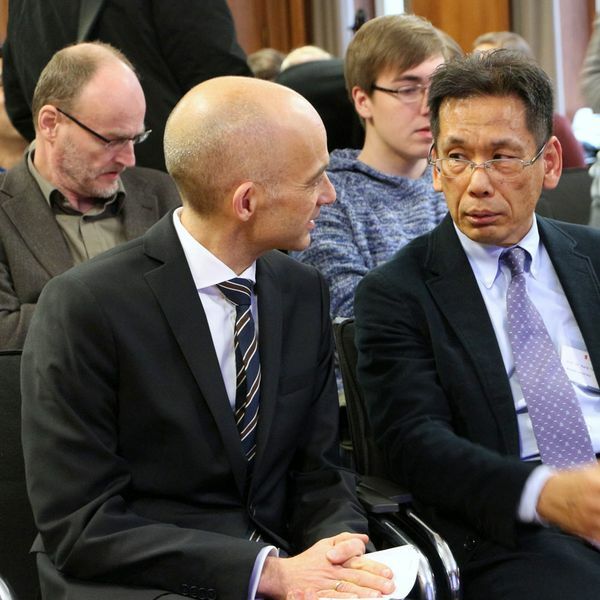 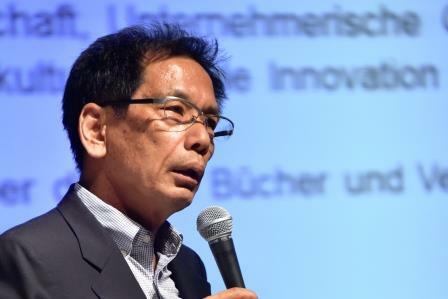 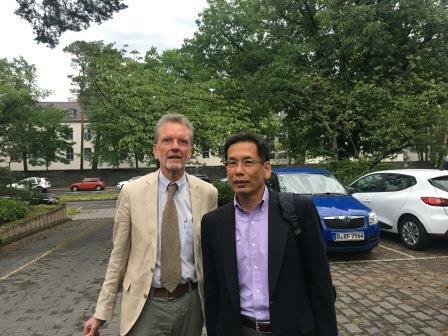 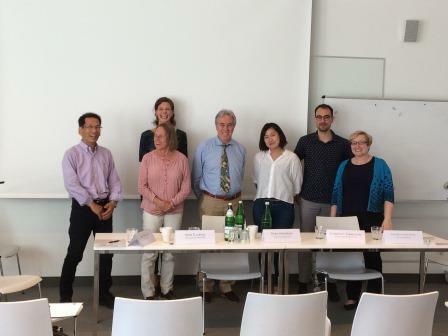 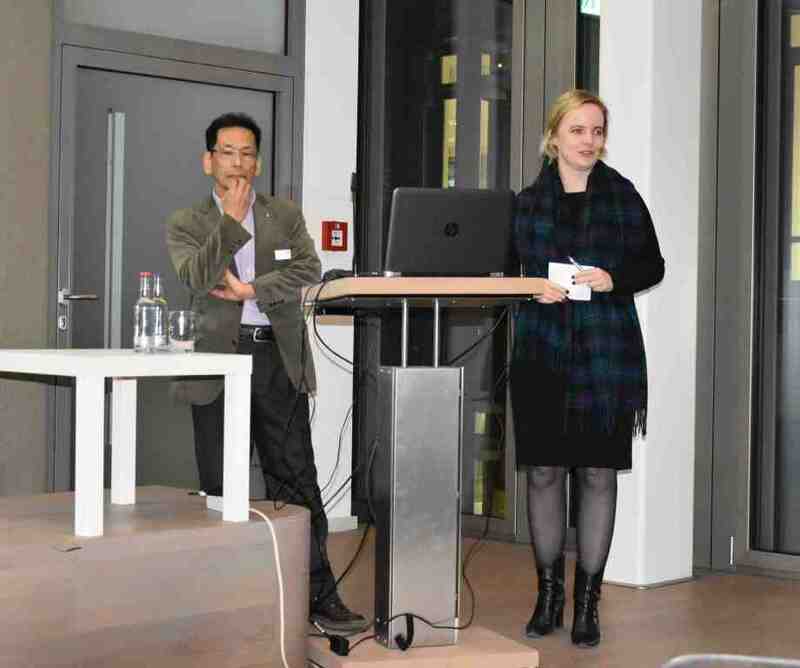 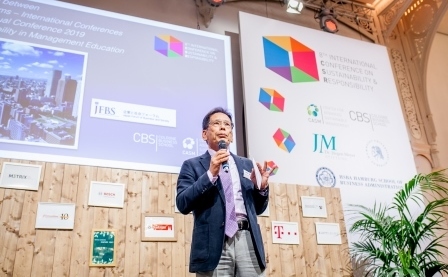 Symposium: Sustainability and Innovation - Opportunities and Challenges: Perspectives from Japan and Germany, Keynote Speech, Japanese German Center Berlin, Berlin, Germany. 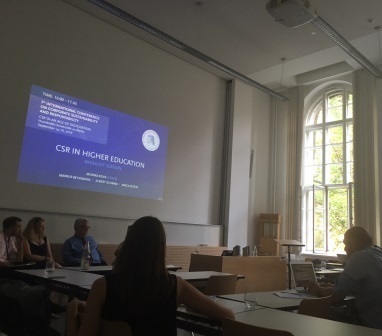 Workshop: Corporate Social Responsibility in Different Varieties of Capitalism: Exploring How National Institutions Shape CSR, Free University of Berlin, Berlin, Germany. 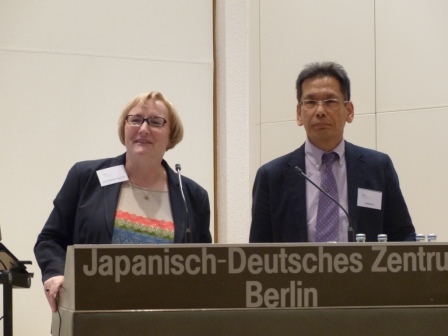 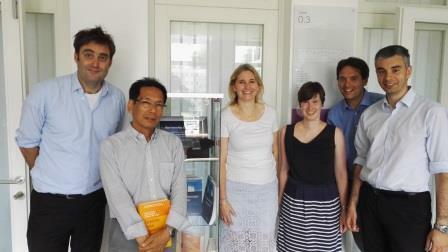 Symposium: Challenges in Japanese Management, Berlin Institute for International Business Studies, Berlin, Germany.